Ubuntu has long been a popular choice for Linux instances on Azure. Our ongoing partnership with Microsoft has brought forth great results, such as the support of the latest Azure features, Ubuntu underlying SQL Server instances, bash on Windows, Ubuntu containers with Hyper-V Isolation on Windows 10 and Windows Servers, and much more. 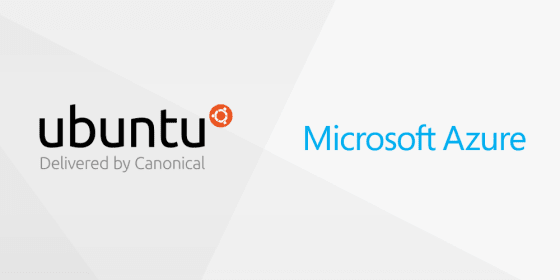 The ongoing collaboration between Canonical and Microsoft will also continue to produce upgrades to newer kernel versions providing access to the latest kernel features, bug fixes, and security updates. Any Ubuntu 16.04 LTS image brought up from the Azure portal after September 21st will be running on this Azure tailored Ubuntu kernel. Essential: designed for self-sufficient users, providing access to our self-support portal as well as a variety of Canonical tools and services. Standard: adding business-hours web and email support on top of the contents of Essential, as well as a 2-hour to 2-business days response time (severity 1-4). Advanced: adding 24×7 web and email support on top of the contents of Essential, as well as a 1-hour to 1-business day response time (severity 1-4). The Azure tailored Ubuntu kernel also supports the Canonical Livepatch Service part of the Ubuntu Advantage Essential package.